Welcome to the Win Your Gifts Holiday Hop hosted by Makobi Scribe and Simply Stacie! You will find lots of giveaways to enter and try to “win your gifts”. 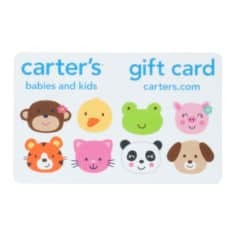 My prize is a $50 Carter’s Gift Card. Great Prze, THANK YOU !!!!!!! Thank you Stacie for all your super giveaways, much appreciated!